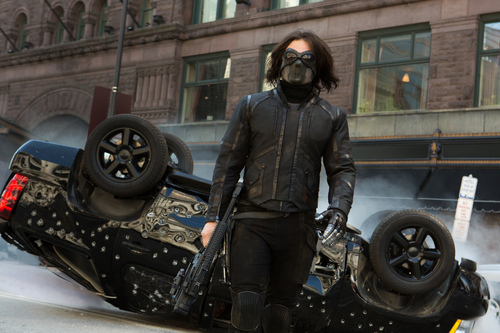 Review • Captain America heats up in "Winter Soldier," mixing political intrigue with big action. 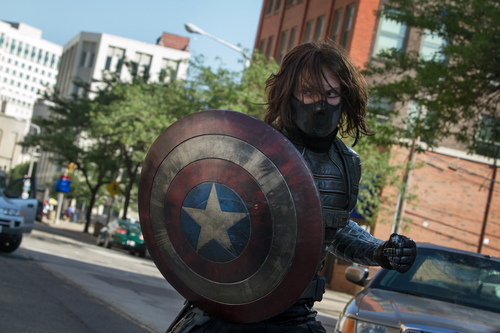 If Captain America wasn&apos;t your favorite Marvel superhero before, his new movie escapade, "Captain America: The Winter Soldier," will turn you into a full-blown Cap fan. Better than "Iron Man 3" or "Thor: The Dark World," this new movie builds strongly off the springboard of "The Avengers" while simultaneously upending everything we moviegoers thought we knew about the Marvel Universe. But "Captain America: The Winter Soldier" also stands on its own, a thoughtful exploration of what it means to be a hero  even if that means going against authority. The idea that Marvel&apos;s most true-blue, star-spangled character finds himself an outlaw makes the story all the more exciting. 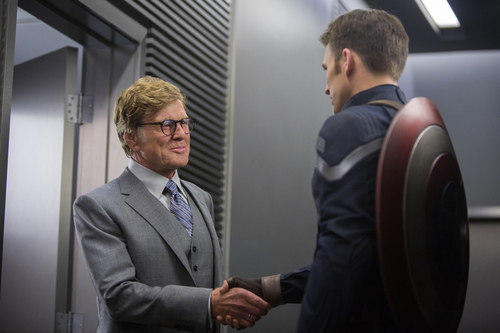 Steve Rogers, aka Cap (again portrayed by Chris Evans), finds himself struggling to fit in at S.H.I.E.L.D., the supercharged government agency that started the Avengers Initiative and now aims to maintain the peace. 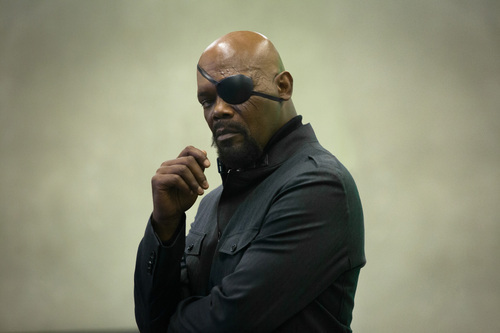 S.H.I.E.L.D.&apos;s director, Nick Fury (Samuel L. Jackson), points to its newest weapons, three massive airborne carriers, as a key part of a drive to "neutralize a lot of threats before they happen." Cap, being old school about the whole "innocent until proven guilty" thing, objects. "This isn&apos;t freedom, it&apos;s fear," he tells Fury  who icily responds by telling Cap to "get with the program." 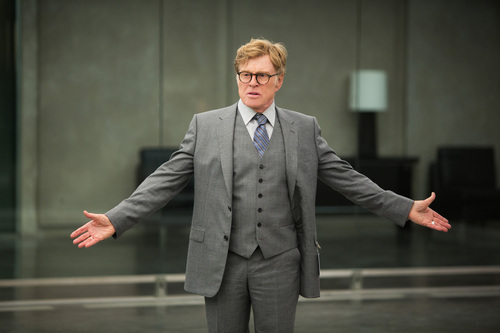 Still, Fury has his doubts  so he approaches his boss, Secretary Alexander Pierce (Robert Redford), about delaying the new carriers. 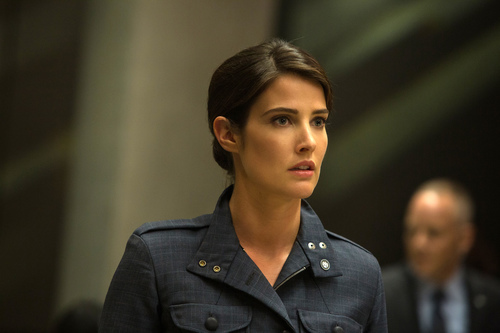 Cap and Fury, without knowing it, set off events that threaten to shake S.H.I.E.L.D. to its foundations. At the same time, Cap discovers that he also must contend with an old enemy. He must decide whom to trust: Fury? Pierce? 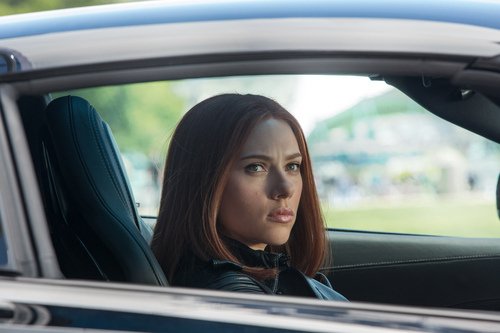 His Avengers colleague Natasha Romanoff, aka Black Widow (Scarlett Johansson)? His pretty neighbor Kate (Emily VanCamp)? 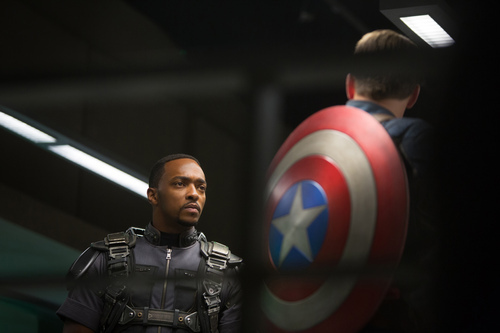 Or Iraq War veteran Sam Wilson (Anthony Mackie), who knows something about the Defense Department&apos;s Falcon program? 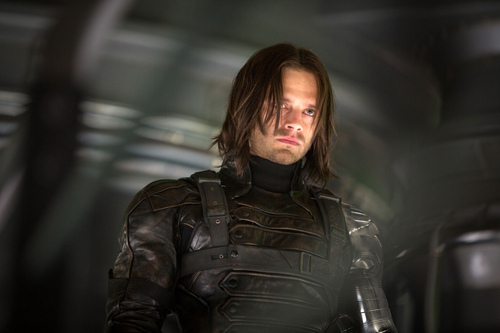 And what is Cap to make of the movie&apos;s other title character, the Winter Soldier (Sebastian Stan)? What we learn early on is that he is an assassin who is Cap&apos;s equal in strength and fighting ability. Now might be a good time to note that everything I&apos;ve described happens in the first half-hour. To divulge anything after that would send me running through a minefield of spoilers, some of them jaw-droppers. 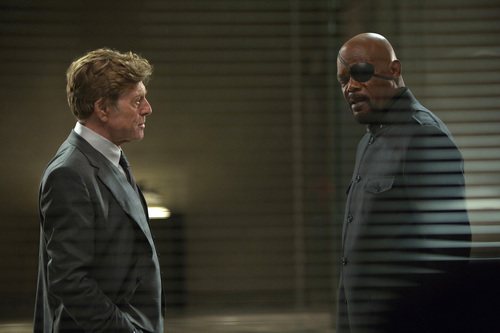 Scriptwriters Christopher Markus and Stephen McFeely (who worked on the first "Captain America" movie and "Thor: The Dark World") place Cap in the heart of a paranoid political thriller in the tradition of "The Parallax View" or Redford&apos;s "Three Days of the Condor." Don&apos;t worry, action fans: The directing brothers of Anthony and Joe Russo ("You, Me and Dupree") still bring the big noise when called upon, while deftly juggling storylines for the aforementioned characters (and a few other familiar faces). And the actors each get opportunities to shine. 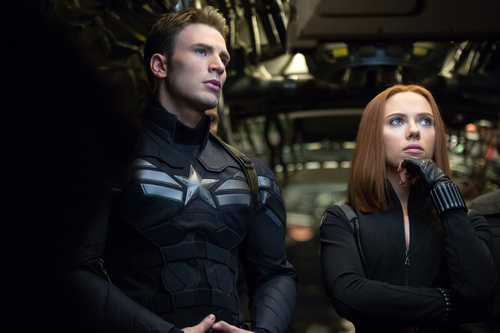 Evans puts some fire underneath Cap&apos;s square exterior, while Johansson is allowed a moment or two of vulnerability for the usually steely Romanoff. Most fascinating is watching the cast&apos;s two old pros, Jackson and Redford, spark in surprising ways. "Captain America: The Winter Soldier" also sets things up for the next movie, 2015&apos;s "The Avengers: Age of Ultron." (Wait through the credits for the extra scenes, and have a comic-book geek explain them. If you didn&apos;t bring a comic-book geek, one will be provided for you.) This movie will keep you satisfied until then. 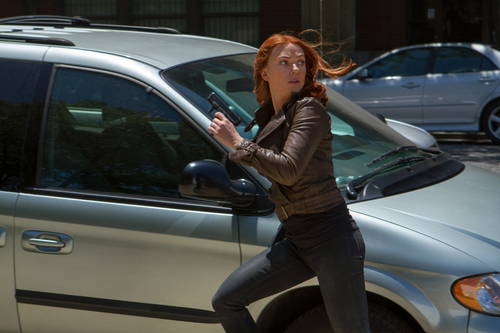 Marvel&apos;s red-white-and-blue hero returns, facing new enemies and old ones in this riveting thriller. When • Opens Friday, April 4. Rating • PG-13 for intense sequences of violence, gunplay and action throughout. Running time • 136 minutes.